Oravet Dental Hygiene Chews are a daily chew given to dogs to help clean teeth and prevent bad breath. When chewed, the ingredient delmopinol is released into the mouth, blocking bacteria to help prevent plaque, calculus and bad breath. Due to their shape, it is hard for a dog to swallow them whole, therefore they are chewed (and enjoyed) by dogs. Current offers: Buy 3 30-count boxes of the same size and get an $8 rebate on extra small and small size chews, a $12 rebate on medium chews and a $15 rebate on large chews. This is a mail in rebate and you will need the rebate form (that we will give to you) and your original receipt(s). We carry a line of C.E.T. 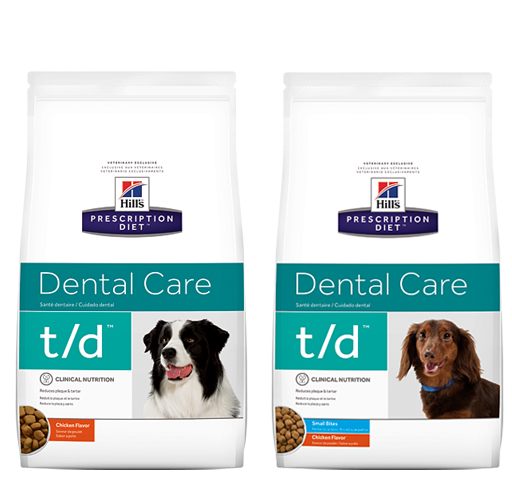 Home Dental Care products to help keep your pets teeth healthy and maintain breath fresh. For dogs and cats- Starter kit comes with a sample of Enzymatic poultry flavored toothpaste, a dual-ended angled toothbrush and a finger brush (for small dogs and cats). For cats- Specifically for cats, this kit comes with a sample of Enzymatic seafood flavored toothpaste, a finger brush and a mini toothbrush. C.E.T. Enzymatic Toothpaste: Toothpaste made specifically for your pet, it's safe to swallow, does not foam and comes in flavors that appeal to both dogs and cats. C.E.T. Enzymatic Oral Hygiene Chews for Dogs: These chews feature a Dual-Enzyme system and abrasive texture that work with the dogs chewing action to help reduce plaque and tartar. They help keep teeth clean and breath fresh. We carry the Large size. C.E.T. Veggiedent Tartar Control Chews for Dogs: These chews are good for reducing plaque and decreasing tartar formation. The Z-shape works with the dogs chewing. Available in 2 sizes, available here. C.E.T. Oral Hygiene Chews for Cats: Made specifically for cats, these chews are given to cats once daily to help reduce plaque and calculus. 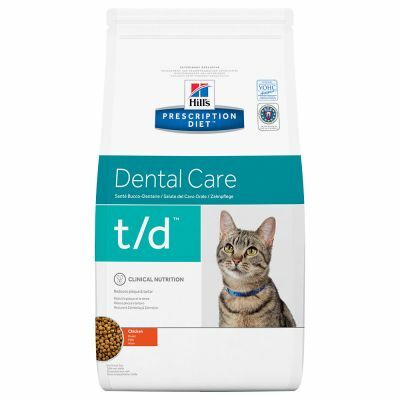 Hills Prescription Diet t/d: We carry this for dogs (larger bites for the bigger dogs and small bites for the small dogs) and cats. This special diet is used to clean the surface of the teeth. It helps to fight bacteria found in plaque. The kibble is specially formulated to "brush" the teeth as the pet chews, see the image below to see just what it does. This diet is backed by Hills' 100% satisfaction guarantee, so if your pet doesn't like it, you can return it for a full refund. It is a prescription, so discuss the benefits of t/d with your veterinarian today!